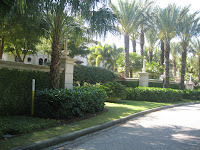 Casey Key real estate has been rather quiet until recently as has most high-end properties. 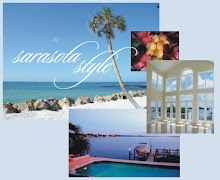 As buyers rush into the Sarasota real estate market to scoop up the lower priced listings, the high-end has lagged. In just a few months, Casey Key has seen more buyers as showings and requests for information from our websites are up on this private tropical island located south of Sarasota and north of Venice. 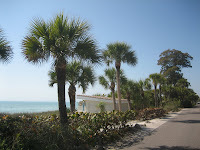 Casey Key is one of Sarasota's barrier islands which also include Siesta Key, Bird Key, Lido Key and Longboat Key. Many celebrities including Stephen King have homes on Casey Key. Visitors, vacationers and buyers of high-end properties come to Casey Key each year to wander its beautiful beaches, collect seashells and sharks teeth and relax. Many of these visitors have been to Casey Key year after year just waiting for an opportunity to purchase a property. The Sarasota MLS currently reports a great selection of homes for sale on Casey Key including Gulf to Bay estates offering potential buyers boat docks, cabanas, tennis courts and swimming pools. Property selection is excellent for the luxury real estate buyer. Casey Key real estate favors the buyer at this time. Many of these homes for sale on Casey Key have been on the market for several years. It could be the time for buyers to make offers if they are seriously interested in this exclusive area in Paradise.